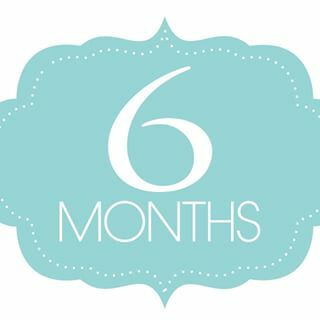 Baby B is 6 months old! Baby B is now 6 months old. Where has that time gone?? That’s such a cliche, but I guess they are cliches for a reason! We’ve started on solid foods (weaning adventures post coming soon, i’m sure!) and now, holding that tiny little 6lb 13oz baby feels like a lifetime ago. Lots more fun and adventures to come!